Not sure what to buy? Purchase an R&R gift voucher. Looking for a wonderful gift for that special couple or friend? 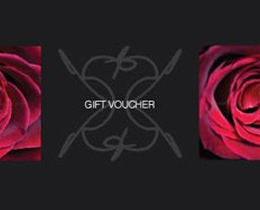 Why not choose one of our beautiful gift vouchers. Our vouchers are redeemable not only against our floral & garden school but also our bespoke wedding design service so you can make a contribution towards the bridal & event flowers. The Vouchers are beautifully designed and are gift wrapped in black tissue and our special ribbon.